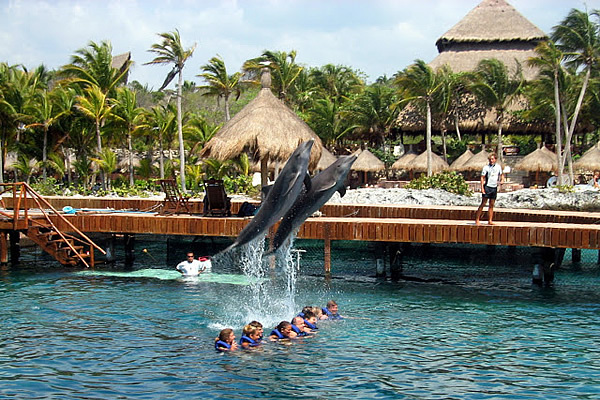 In Xcaret you can experience everything you can expect from an unforgettable journey: Imagine stunning natural landscapes where we combine the green of the jungle with the turquoise blue sea; adds soft white sand beaches, ancient archaeological sites and hundreds of species of exotic animals. 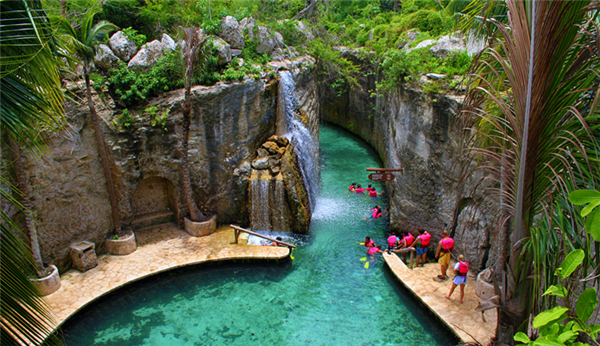 The natural park Xcaret is a place that boasts the best of the traditions and culture of Mexico. A paradise where natural beauty and cultural richness of the Mexican Caribbean only 45 minutes from Cancun, Quintana Roo combined. In this park you will find around 40 attractions of nature and culture as the Butterfly (first in Mexico), where you can observe species native to the Yucatan Peninsula; a Coral Reef Aquarium, unique in its kind, and one of the few places in the world where you can see reef structures in their natural habitat; You can also admire hundreds of species endemic to the region as a breeding ground for regional fauna. Admire the view of the Sacred Paradise Mexico and the Caribbean Sea from the Rotating Scenic Tower; whisper your secrets in the House of Whispers and be amazed with the smells and colors in the Living Museum of Orchids. At nightfall, Xcaret Park becomes stage for more than 300 actors in Xcaret Mexico Spectacular, an event that gives you a tour of dance, light and sound through the history of Mexico through its music, costumes and traditions, as stagings of Maya history and conquest, the ballgame and folk dancing. Also, throughout the year you can enjoy different historical and cultural activities such as the Sacred Mayan Journey, ritual meant the crossroads of the ancient Maya to the island of Cozumel to worship the goddess Ixchel; or the Festival of Life and Death, where the faithful departed, one of the quintessential Mexican traditions is commemorated.